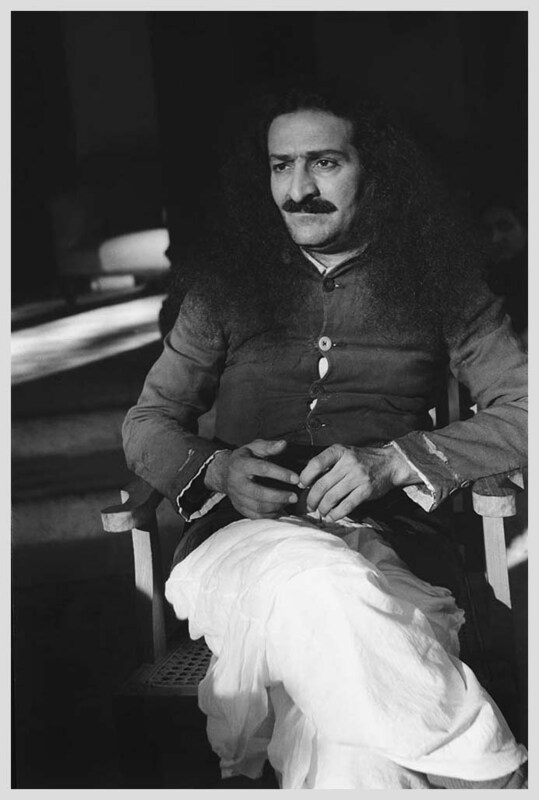 Meher Baba was born, Merwan Sheriar Irani, on 25th February 1894 in Poona, India. His parents were both of Iranian Zoroastrian descent. As a schoolboy Merwan was noted for his loving and generous nature, but showed no sign of the destiny that awaited him. It was not until 1913, that he came into contact with Hazrat Babajan, a Muslim holy woman, who, in a role similar to John the Baptist with Jesus, awakened him to his true nature. With a simple kiss to Merwan’s forehead Babajan unveiled him. After seven years spent under the spiritual guidance of Babajan, Sai Baba of Shirdi, Upasni Maharaj and other spiritual masters, his mission began in earnest. In the early 1920s his first male disciples began to gather around him and gave him the name Meher Baba, which means ‘Compassionate Father’. Baba took a group of them to Bombay, where he put them through the extreme rigours of their initial spiritual training. Then in 1923 he moved to a desolate spot outside Ahmednagar in central India, where he set up an ashram called Meherabad. Soon, a select group of women joined the ashram, notably his closest female disciple, Mehera Irani, who he described as ‘the purest soul in the universe’. It was here on the 10th of July 1925 that Meher Baba began to keep silence. When asked how he would be able to teach, he replied: ‘I have come not to teach but to awaken’. He communicated primarily by means of an alphabet board, which he discarded in 1954 and used only hand gestures and facial expressions. He was later to state: ‘Because man has been deaf to the principles and precepts laid down by God in the past, in this present Avataric form I observe Silence. You have asked for and been given enough words – it is now time to live them.’ Meher Baba was to maintain this silence from 1925 right until his physical death over 43 years later. He emphasised the oneness of humanity; that all differences are transient and not intrinsic to our nature; that people go through all the varied experiences of being man and woman, black and white, rich and poor, beautiful and ugly in different lifetimes, which are no more than ‘different clothes which you alternately wear and discard’. 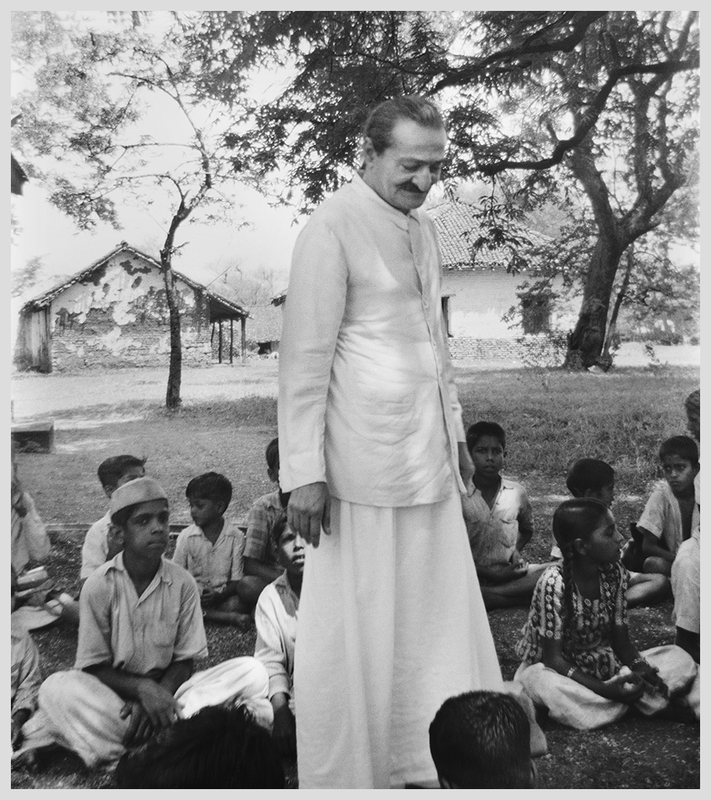 In 1949 Meher Baba began a phase which he called the New Life, travelling around India with a group of his closest men and women disciples until 1952. During this ‘life of complete helplessness and hopelessness’, Baba travelled incognito and the group had to beg for food and lodgings, relying on the generosity of others, many of whom had no idea who Baba was. Shortly after the New Life ended, Baba returned to the USA in 1952, and in Prague, Oklahoma he suffered the first of two car accidents in which he broke his bones. He later said: ‘I got my physical bones broken so as to break the backbone of the material aspect of the Machine Age, keeping intact its spiritual aspect.’ The second accident, which was in Satara, India in 1956, left Baba with such a badly crushed hip that doctors doubted he would ever walk again. However, he did manage to do so, albeit with severe impairment and pain. Meher Baba explained that the Avatar, whose earlier advents include Zoroaster, Rama, Krishna, Buddha, Jesus and Muhammad, is the same Ancient One who comes to earth to give humanity a spiritual push through his divine love. When Meher Baba left his earthly body in 1969, the following telegram was sent to his followers around the world. 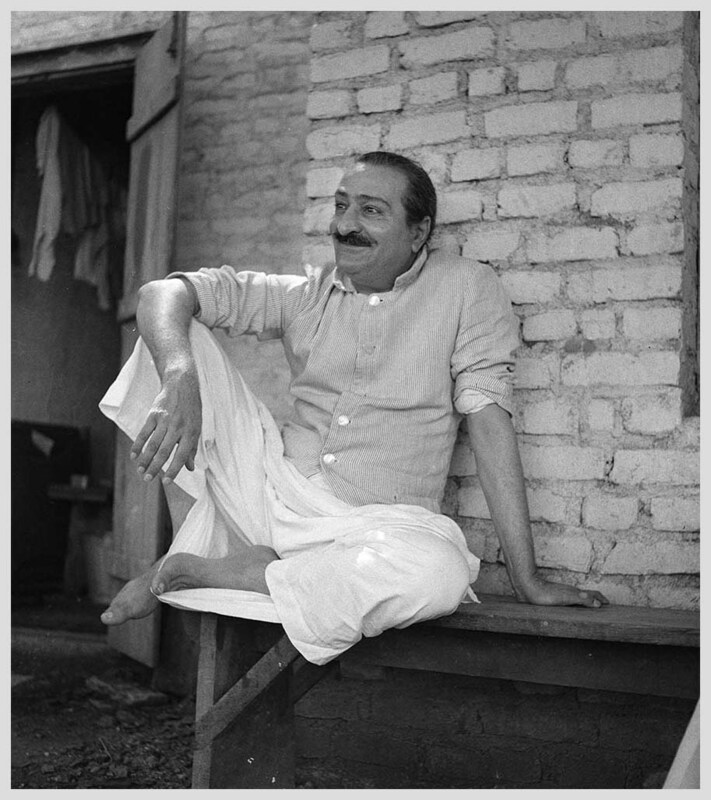 ‘Avatar Meher Baba dropped his physical body at 12 noon 31st January at Meherazad to live eternally in the hearts of all his lovers.’ He is buried in the Samadhi (tomb-shrine) at Meherabad, which is now a place of pilgrimage for people from all over the world.